Todd Miller is the PGA Head Golf Professional and Director of Golf Instruction. 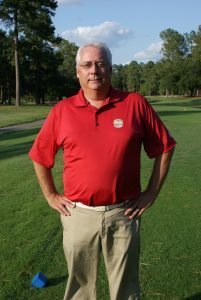 Todd is a Class A member ofthe PGA of America and has been teaching the game of golf for more than 20 years. He has worked with students of all skill levels to help them become better players and get more enjoyment out of their time on the course. Use of the lighted driving range at Lake Marion Golf Course provides the flexibility to select times that work for most schedules, whether early, late or in the middle of the day. Email Todd for information about golf instruction.